Jos van Wunnik: Visual artist: Meandering light — What is beauty? Meandering light — What is beauty? 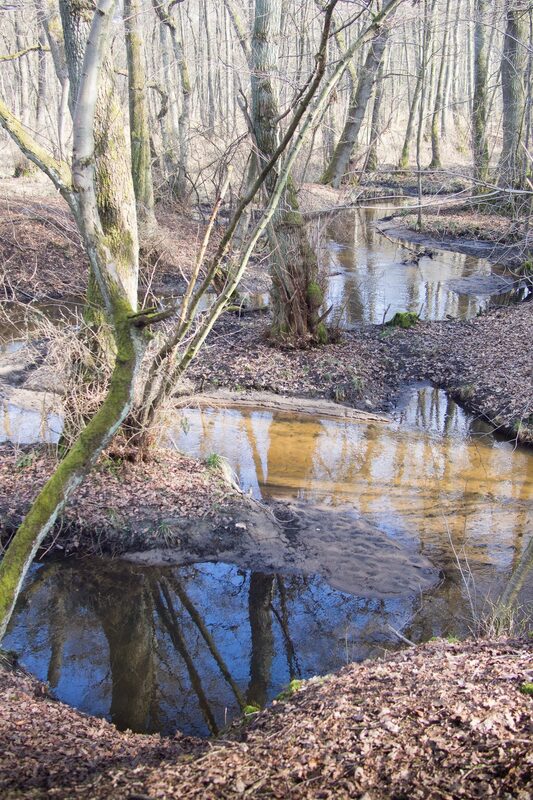 On March eleven I made a walk along the brook ‘Rode Beek’ in the national park the Meinweg. It was a glorious day, one of the first days the new diffuse light filled the space and the forest, casting long shadows. 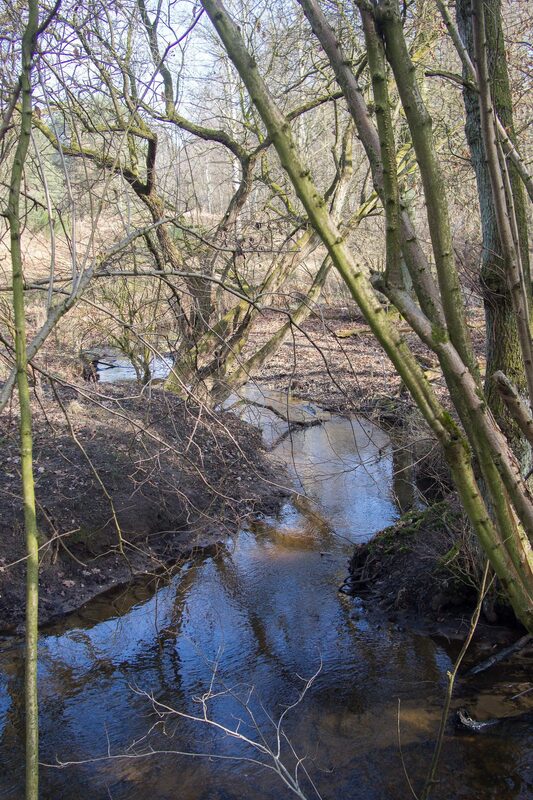 It is a brook with many wonderful meanders that one can watch from above on a rather high bank.The meandering stream reflected the light, the alders and oaks. 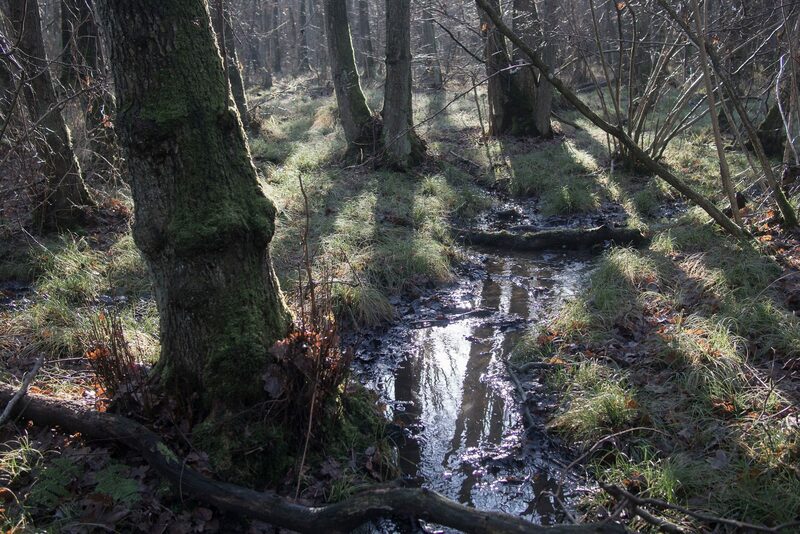 These brook valleys and wet forests are the last remaining traces of old geologic origin and the last zones of organic grown nature in the Dutch landscape. And it makes me happy walking through this landscape and enjoy its beauty. Beauty in man made world is always about the contradistinction beauty — ugliness. But it seems to me that beauty in nature exceeds this duality. Is it the incomprehensible coherence of life in (primeval and well) forests? That week I started two new paintings on the meandering brook subject. Although the real subject is the vibrating, streaming and the resonating of all spots of color — water and light — with one another, and with me while painting. 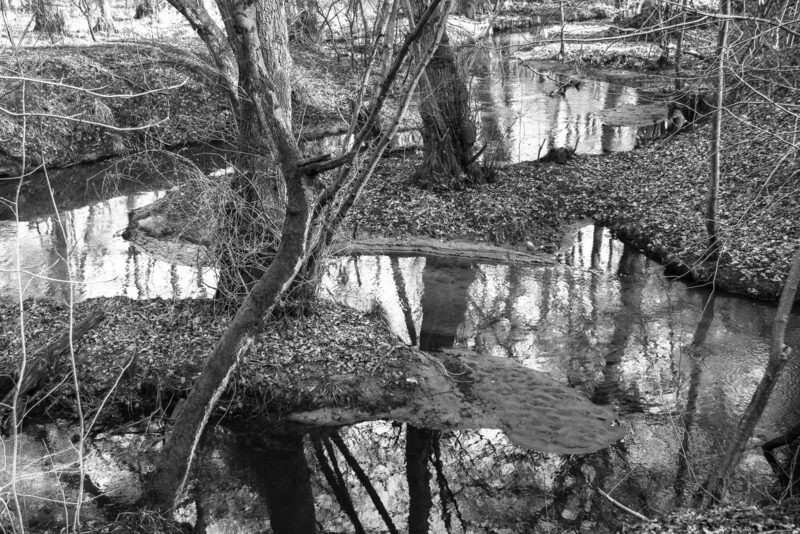 The composition is formed by the curved, horizontal lines of the stream together with the more or less strait, vertical lines of oaks and alders.